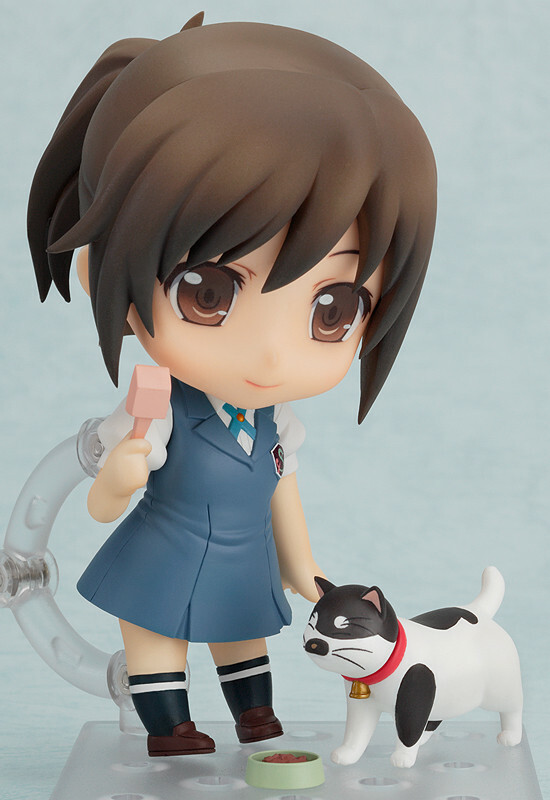 Laughing and singing in Nendoroid form! 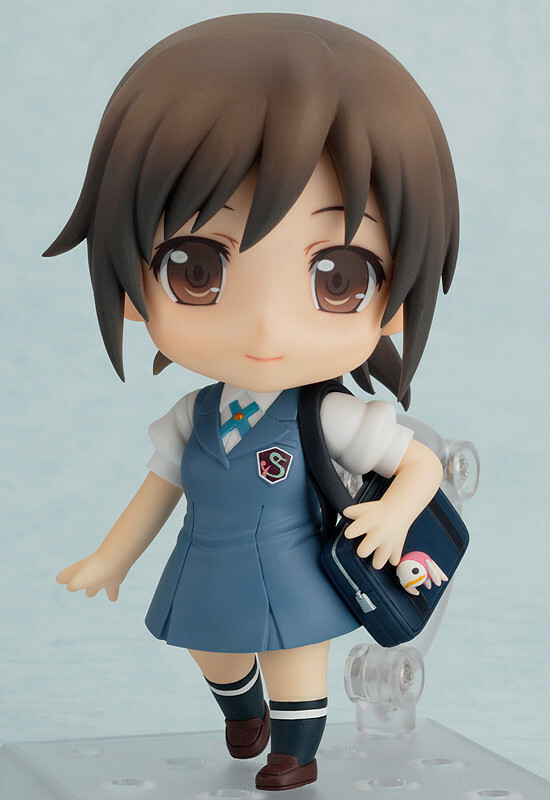 From the anime series 'TARI TARI' comes a Nendoroid of Wakana Sakai, one of the members of the 'choir, but sometimes badminton club'. 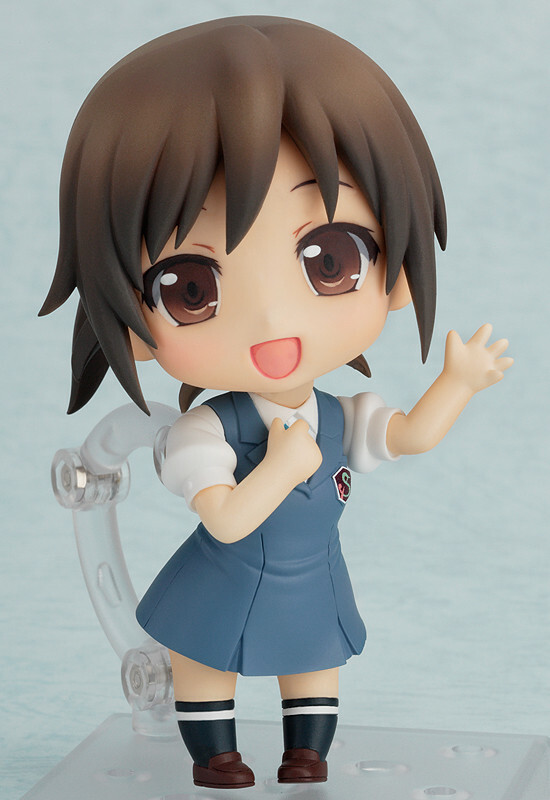 She comes with both a smiling expression and a singing expression as well as a number of other optional parts. 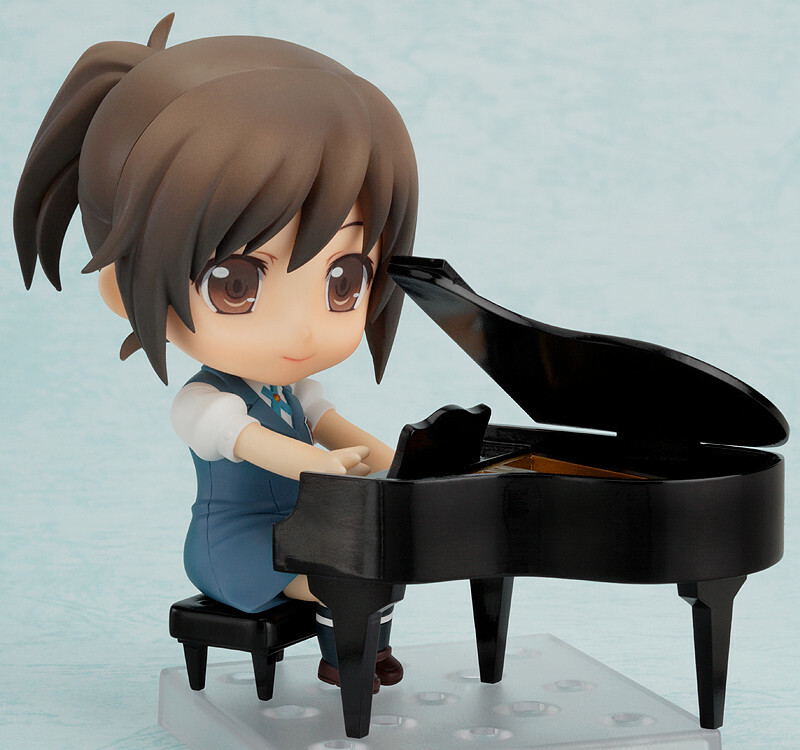 A complete Nendoroid-sized piano as well as sitting parts are included, which allow you to pose her playing the piano. 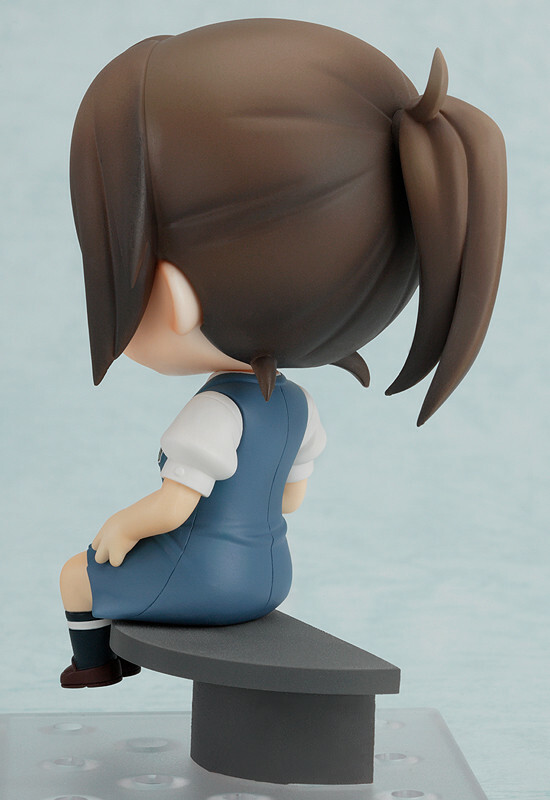 The water fountain from the ending theme of the series is also included, so you can choose to pose her sitting there as well! Even her beloved cat Dora is included, together with a bowl of food to keep him happy!